The Scottish Tenant Farmers Association has lent its support to today’s press statement issued by Hendersons Surveyors on behalf of the eight tenants affected by the Salvesen Riddell debacle and the subsequent Remedial order. The STFA is bitterly disappointed that these tenants are being forced to take the Scottish Government to court in an attempt to gain some recompense for the loss of their tenancies as a consequence of bad law passed by the Scottish Executive in 2003. Time is now running out for the remaining eight tenants and their families who have been in limbo since the UK Supreme Court ruled in early 2013 that they must leave their tenanted farms. They now find themselves in Court on 1st November, the next two families will be losing their farms at the end of November and the rest face eviction next May and November. Commenting on the dire situation STFA Director Angus McCall said; “The last four and a half years have been a misery for these tenant farmers since Lord Gill condemned the law that gave them security of tenure ten years previously as incompetent and contravening the property rights of landlords. The tenants now feel they have been hung out to dry by the government and its lawyers. “None of the assurances given to them by ministers or parliament when the Remedial Order was passed in 2014 has been met. The mediation process which was supposed to take place never got off the ground, government has refused to enter into negotiation with the tenants regarding any form of compensation and now they find themselves faced with a lengthy, expensive and stressful legal battle with the government, an outcome that the RACCE committee precisely warned against. “There is no doubt, that if the mediation process had taken place as originally planned and in the spirit intended, some of these tenants would not now be facing eviction and the others would have come to a mutually agreeable end of tenancy settlement instead of four years of uncertainty and emotional turmoil. This sorry saga has exemplified the harsh and uncaring side of government where common decency and a sense of fair play is being sacrificed on the altar of political expediency. TENANT FARMERS BEING FORCED TO FIGHT FOR THEIR RIGHTS! The effects of the Salvesen / Riddell case have been far reaching and now resulting in Eight Tenant Farmers and their families finding themselves in Court against the Scottish Government despite all of the assurances to the contrary. The Remedial Order 2014 process promised that the tenant farmers adversely affected by this new legislation would be looked at on a case by case basis and due consideration would be given to the requirement for compensation payments being made for them now finding themselves losing their livelihood and in some cases, their homes. The highly publicised Salvesen V Riddell case following the Supreme Court judgement required the Agricultural Holdings (Scotland) Act 2003 Remedial Order 2014 to correct the unlawful outcomes resulting from the defect identified and it was acknowledged by the Government’s Agricultural Minister at that time, that the Order would have a negative impact on many Tenant farmers. The Government were advised by the Rural Affairs Committee that they should make every effort to ensure that the affected tenants did not suffer further by having to face lengthy and very costly court proceedings in seeking compensation for the impact the Remedial Order would have on their secure tenancies. Unfortunately, having paid lip service to the advice, the Scottish Government has made no effort to lessen the stress and financial burden and these eight farmers and their families now find themselves in court as of the 1st November 2016. Despite the many assurances from the Scottish Government, these eight families now find themselves having to fight for what should have rightfully been addressed by the Government. One farmer has already been put out of his farm in January of this year, two more families will find themselves in the same position as of the end of November with the remainder facing eviction in May and November of next year. One of the families due to end their tenancy at the end of next month lives on the Isle of Arran. The farm is run by two young brothers – the very type of young farmer the Government continues to stipulate is needed in Scottish agriculture. 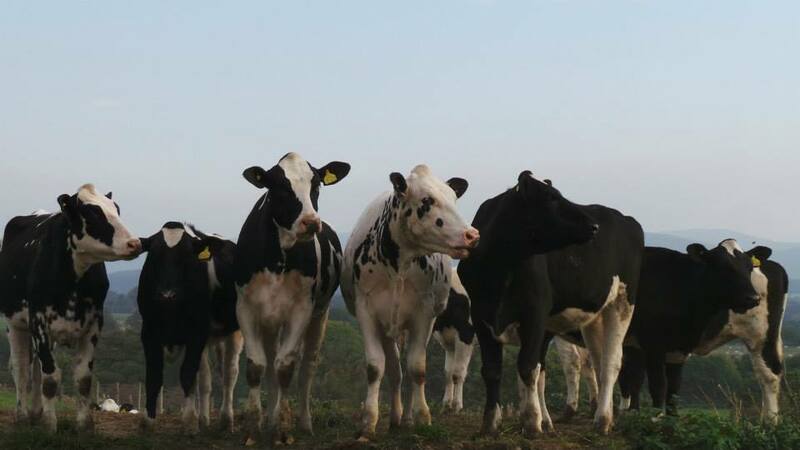 The brothers have worked all of their life on this farm on Arran, have heavily committed to environmental schemes which may now be in jeopardy and have also created a diversification business which will prove very difficult to relocate. All of the work they have carried out both on the farm and their diversification business will count for nothing when leaving their farm at the end of November. Without any form of compensation from the Government, they will be left with nothing and no means of continuing either with another farm or with their diversified business. They are young men who have worked hard believing that they would be there for the rest of their working lives, only to find that due to the failings of the original Act and subsequent Remedial Order, this is no longer the case. The latest failing in the promises made by the Government has been their inability to procure a Mediator – something which was originally put in place, but was obviously so high on their agenda in resolving issues with the plight of these tenants, that they failed to renew the contract which ran out in June of this year. As acting agent for the eight tenants going to court, Mr Henderson said, “it is despicable that the Tenants have been treated in this way and forced to suffer the stress of an unknown future and the financial burden of court action for mistakes made by previous Governments and legislation, with nothing but broken promises as to how they would be considered and compensated. To hide behind the legal department and use this as an excuse to refuse meeting with the affected Tenants to seek resolution out of Court is contrary to what was originally promised and will inevitably be at a further unnecessary cost to the Tax payer” he added “the fact that the Government have failed to procure the promised Mediator at such a critical time for the Tenants due to leave their farms next month, only highlights the lack of importance the Government places on this sorry mess as well as their total lack of understanding on the effect their broken promises have had and continue to have on these families” . The Scottish Tenant Farmers Association is concerned to hear that a small landholding tenant faces losing his farm if the Scottish Government approves a planning proposal for a film studio and other developments on his small holding on the outskirts of Edinburgh. Commenting, STFA director Angus McCall said; “Local residents are fighting to prevent the imposition of what appears to be a substantial development, including a film studio and a Gas, Chip and Pellet fired Power Station, on prime agricultural land against the will of the farmer, the local community at Damhead, and The Midlothian Council. 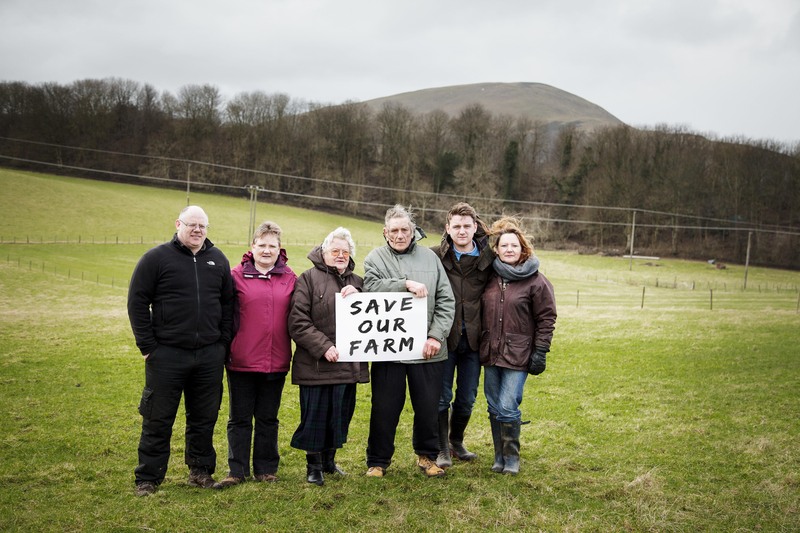 “This situation also highlights the vulnerability of tenant farmers who are powerless to resist a notice to quit if planning permission is granted over the whole holding. Small landholding tenants such as Mr Telfer have even less protection against development and are even more at risk. STFA has been lobbying the Scottish Government to modernise this anachronistic form of land tenure and, at last the government has agreed to conduct a survey of Small Landholding tenants to seek solutions to their plight. This however will be scant comfort to Mr Telfer who faces losing his century old tenancy although it is understood that he may be able to continue to occupy his house in the meantime..
“The Damhead Community are petitioning the Scottish Parliament to stop the eviction and are urging supporters to sign the petition by 28th September for presenting to the Parliament the following day. The Damhead Community’s statement has been removed from this site due claims of defamatory content. The Scottish Tenant Farmers Association has welcomed the joint initiative between RICS and the Government’s interim adviser, Andrew Thin, to monitor the conduct of professional agents in rent reviews. The move follows concerns expressed by MSPs during the debate over the Land Reform Bill earlier this year and has the backing of organisations representing both landowners and tenants. The project is a joint initiative between RICS and the Scottish Government’s Independent Adviser on Tenant Farming (IATF), and follows the issuing in late March of a discussion paper about agent conduct which has been the subject of consultations with key industry bodies. Over the next 6 – 12 months landlords and tenants involved in rent reviews will be asked a series of questions about their experience where the other party to the review employed an agent to act for them. The aim is to understand and assess how the person on the receiving end of an agent’s negotiating tactics feels about the encounter. Responses will be analysed with a particular focus on how the conduct of agents employed by landlords is perceived by their tenants, and vice versa where an agent is employed by the tenant. The aim is to identify any aspects of the agent’s behaviour that might be potentially damaging to landlord/tenant relations. The IATF published a guide to maintaining good relations for landlords, tenants and their agents in June 2016 which emphasised the pivotal role of agents in these relationships, and described four broad criteria which should underpin the behaviour of all three parties. Commenting on the joint initiative, Chairman Christopher Nicholson said: “For some time now STFA has been convinced that the behaviour of some professional agents has been the root cause of the poor relationships between landlords and tenants. This view was recognised by the Agricultural Holdings Legislation Review Group and the RACCE committee of the Scottish Parliament who both heard first hand evidence from tenants who felt their relationships with their landlords had been damaged by way in which of a minority of land agents had behaved. Generally the situation was worse where an outside firm of land agents had been contracted in to conduct rent reviews. “STFA fully supports this initiative which will, we hope, herald a new era of mutual self-respect and remove the stress, confrontation and sometimes unwarranted expense which so often accompanies what should be routine business negotiations, such as reviewing the rent. It is heartening to observe that the warnings issued by the Parliament already seem to have been taken on board by professional agents on all sides and the advent of the Interim Adviser on Tenant Farming has helped to resolve some potential disputes. The Scottish Tenant Farmers Association is calling for the sale of a Highland sporting estate to be put on hold until the concerns of tenant farmers who stand to be deprived of their statutory right to buy on the estate can be addressed. Billed as the most expensive sporting estate ever to be marketed and described as the “ultimate utopia for the passionate sportsman”, the Tulchan Sporting Estate Limited, owned by the Litchfield family, has recently appeared on the market with a price tag of £25m. However, although the glossy brochure extols the superlative advantages of this “sporting and wildlife paradise” it barely mentions the existence of a number of let farms whose tenants will not be able to take advantage of the pre-emptive right to buy enjoyed by tenants on other estates due to a loophole in the legislation. As far back as 2002, STFA pointed out to the government that if the land being offered for sale was owned by a company, the sellers could legally avoid the tenants’ pre-emptive right to have first refusal over the land even if they had registered their interest in buying the land with Registers of Scotland. Tulchan Estate is owned by a limited company and it is the company which is for sale rather than the land itself, thus avoiding the pre-emptive right to buy. Commenting on the situation STFA Director, Angus McCall said; “Although this sale is being conducted within the letter of the law it is deeply disappointing that the sellers seem to be ignoring the spirit of the law in Scotland which allows a tenant with a secure tenancy to have the right of make an offer for his farm if the landlord decides to sell. STFA has raised this issue over the years and the recent Agricultural Holdings Review group recommended that this loophole be closed. To date the Scottish Government has failed to tackle this glaring omission. “STFA is now calling for the sale of Tulchan Estate to be halted until the plight of the 5 tenants on the estate has been addressed. It is an appalling state of affairs that the Tulchan tenants are being denied a right afforded to other tenants and a say in their future just because of the structure of ownership and a flawed legal technicality. STFA has raised the issue with the government farm tenancy adviser Andrew Thin in an attempt to delay the proposed sale of Tulchan Estate to allow negotiations to take place between the landlord’s agents and the tenants. “It is expected that Andrew Thin will be contacting the tenants concerned with a view to brokering discussions about the future of the tenanted farms. It would appear that the selling agents have also expressed a willingness to speak to the tenants and discuss alternative options. STFA has welcomed these moves but will be keeping a watchful eye on developments and assisting the tenants to reach agreements which will safeguard their future security and the viability of their businesses. The Scottish Tenant Farmers Association has drafted an initial list of commitments and priorities to be considered by governments as the lengthy and uncertain process of the UK withdrawal from Europe and the Common Agricultural Policy begins. Commitment from Government to deliver the next 4 rounds of support payments up to the end of 2020, as planned and budgeted for by farmers. This will provide stability and reduce uncertainty in the short term. Existing agri-environment contracts must be honoured and the process for those that are open to applications or being processed must continue. A new agricultural and environmental policy must be in place before existing support schemes are removed. The new replacement policy must provide for UK farmers a level playing field with the rest of Europe and continued barrier free access to European markets for British farm produce. At present the devolved Scottish Government administers the EU CAP budget which is granted by the UK Government. When the UK withdraws from the CAP the UK Government must provide sufficient replacement funding for the devolved Scottish Government to administer according to the needs of Scottish Agriculture. A consequence of the budget coming from the UK instead of the EU will be greater public scrutiny of how the funds are used, and the need for all aspects of the future policy to meet the public interest. Long term public support for agriculture will only be possible if the policy provides value to the taxpayer. Withdrawal from the CAP should allow greater flexibility for Scottish Government to target payments in a manner which avoids the excesses of the past. In particular, support should only go to genuine active farmers, putting an end to ‘slipper farming’. Meeting the public interest may require the capping of payments to individual businesses, and targeted support payments could be used to encourage long term sustainable land tenure arrangements. Family farms have been the resilient backbone of Scottish agriculture for centuries, and have provided not only first class farm produce but also key social and environmental benefits to Scotland’s rural areas. STFA believe that future farming policy should continue to support our current structure of family farms, and that the future policy must be well thought out to avoid the risk of family farms being replaced by extensive systems of agriculture and forestry which would be devastating for rural communities in the more marginal areas. Future international negotiations on tariffs and market access for the UK’s agricultural produce must provide barrier free markets which will support a strong and competitive farming industry in the UK. Markets for UK farm produce must not be viewed as an expendable negotiating tool in future trade deals. 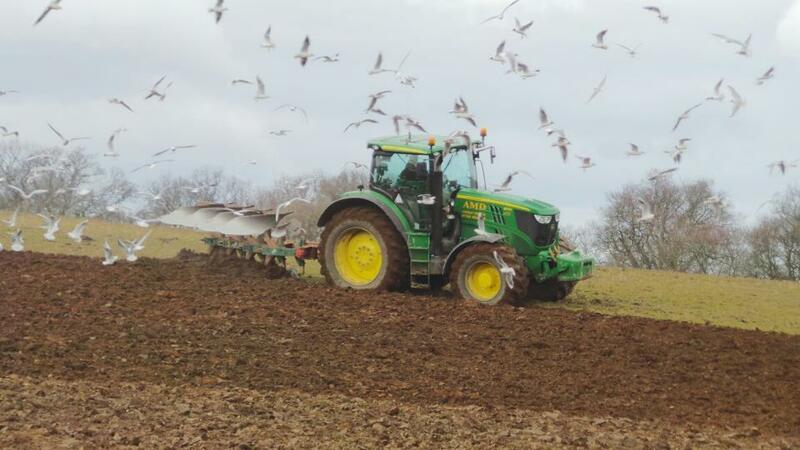 Agri-environment schemes should be outcome based, with farmers paid for the environmental benefits they provide. In contrast, payments under the current schemes are based on income forgone by the farmer. There are significant environmental benefits farmers can provide, especially with regard to soil management and carbon sequestration. Capped farm infrastructure grants to maintain investment and competitiveness on family farms. A new uplands / Less Favoured Area scheme suited to Scotland. 85% of Scotland is LFA, in sharp contrast to England which is 85% non-LFA. 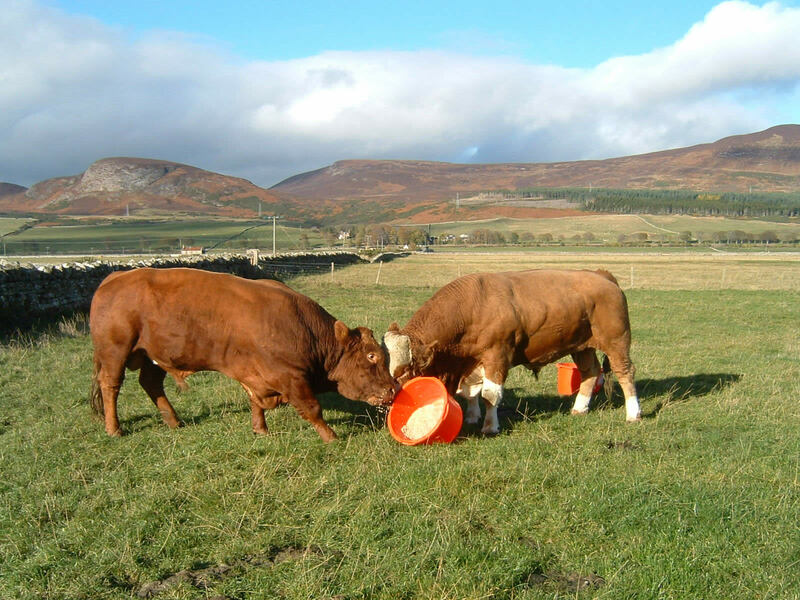 An appropriate support scheme for marginal areas is vital for Scottish agriculture. Areas based support payments both current and past have created a pattern of ever increasing land prices and land rental values which is unhealthy for agriculture, acts as a barrier to new entrants, and is often seen by the public as taxpayers supporting solely landownership rather than food production and management of the environment. Unlimited area based payments have also encouraged a pattern of land tenure driven by short term objectives to maximise payments rather than the objective of maintaining long term sustainable farming practices. Some modern letting agreements now require the tenant to pass all the area based support payments to the landlord, with the tenant having to meet all the obligations and conditions regarding the support system. Such a system of support payments clearly has elements which are not in the public interest and cannot be justified. Farmers are typically in weak market position, sandwiched between suppliers and customers who both have monopoly powers in the marketplace. STFA see a clear role for industry ombudsmen to give annual reports on the profitability of the different stages in the food supply chain, ensuring transparency of profits at each stage, with the aim of encouraging a fair division of profits for each stage including the farmer. Continued marketing, promotion, recognition and branding of Scottish food and drink. Rules and regulations for access to support schemes should be simple and straightforward, and penalties for breaches should be fair and proportionate. 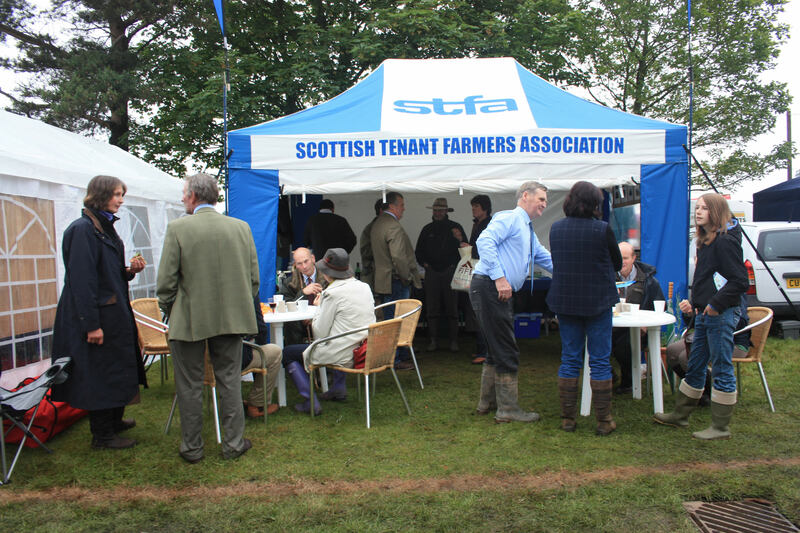 The Scottish Tenant Farmers Association (STFA) is urging all tenant farmers to exercise caution and take good independent advice from experts on tenancy law when planning for retirement. When it becomes live, the new Land Reform Act of 2016 will provide a tenant wishing to retire from farming a range of options allowing him to receive realistic and fair compensation for not only the improvements he has carried out during his tenancy, but also for the value of his interest in the lease. As at present, a tenant leaving his tenancy is only bound to receive compensation for agreed improvements he has made to the unit, on top of traditional compensation for crops in the ground, residual manurial values and so on. In many cases this represents a paltry sum and is no incentive for a tenant to retire early and make way for the next generation. The new Act changes all this. A tenant wishing to retire can now take advantage of the amnesty on tenant’s improvements and make sure that he is compensated for improvements he has made without the proper paperwork. 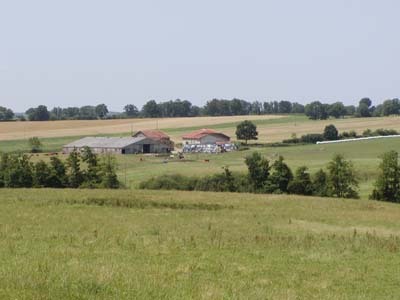 He can also take advantage of the new section which allows him to assign his tenancy to a limited group of new entrants and progressing farmers, if the landlord does not wish to pre-empt the assignation by buying out the tenant’s interest in the lease, to be calculated by an independent valuer appointed by the Tenant Farming Commissioner. Finally, the tenant also has the option of passing on his tenancy to a much wider class of relative than at present. However, it is important to note that the Act is not yet active and will be implemented in stages over the next couple of years. Most of the new provisions which do not require secondary legislation should be implemented by the end of this year, but some such as the section of Relinquishing and Assignation of 1991 Tenancies are not expected to be live till next year and the new rent review section will not be available until 2018. STFA Director Angus McCall comments: “STFA is urging tenants not to jump the gun in trying to use the new Act. There are a number of tenants who are keen to retire and pass the farm on, but they should be patient and wait a few months until various parts of the Act are active before taking action. Although the principle of compensating a tenant for transferring his interest in the lease back to his landlord has been agreed, the valuation process is still to be finalised. It is thought the tenant’s share of the value of the tenancy may be about 25% of the open market value of the farm, but this will vary according to the individual’s circumstances. “It is also vitally important that informed expert advice is sought. Tenancy law becomes more complicated with every act of parliament and there is a lot of misunderstanding and misinformation on the go. Even some professional advisers seem to be confused. Not even the so-called experts get it right, if a recent presentation on rent reviews at law conference is anything to go by! Rather than being enlightening, the confused and inaccurate talk on the new rent system saw many of his colleagues equally at sea with the new laws. “The Interim Adviser on Tenant Farming, Andrew Thin has just issued an “Interim Code on Determining Compensation at Way-Go”, but it must be emphasised this this code relates to the law as it stands and anyone contemplating quitting a holding should note that the Land Reform Act offers alternative ways of realising the value in a secure 1991 Act tenancy once those provisions come into effect. STFA strongly recommends that independent professional advice is sought before agreeing any way-go valuation in order to fully assess the different options that may be available. Tenant farmers should take advantage of the show season to speak to representative organisations. STFA is fully up to speed with the new Act and has the added advantage of a free legal helpline provided by Hamish Lean who was a member of the AHLRG. 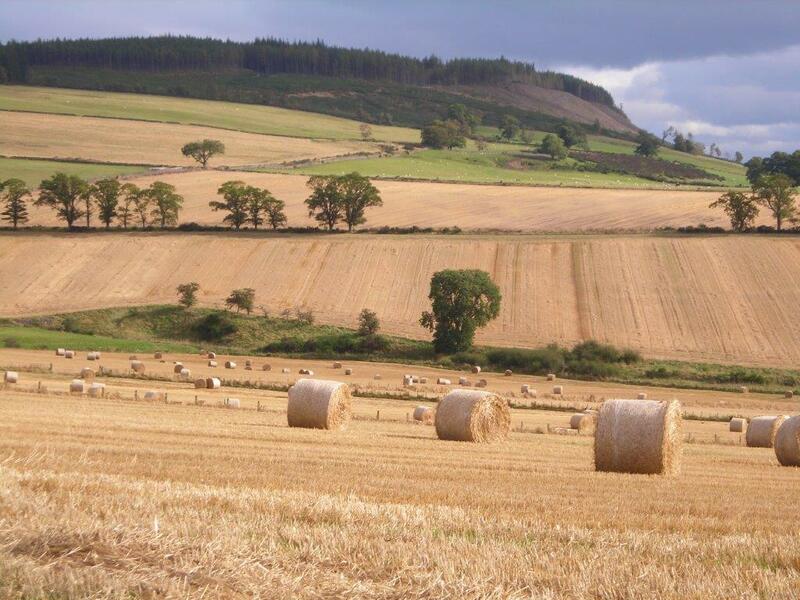 The Scottish Tenant Farmers Association is urging the new Cabinet Secretary for the Rural Economy and Connectivity, Fergus Ewing, to put Part 10 of the Land Reform Act relating to farm tenancies into force as soon as possible. Although the Land Reform Act was passed by the Scottish Parliament in March and received Royal Assent in April, it is not yet active and STFA has been informed that some sections, such as rent reviews, are unlikely to be implemented for at least another couple of years. STFA recognises that delays are inevitable due to the need for fine details to be agreed and enshrined in secondary legislation, but has called upon government to press on with this work as a matter of urgency. In his letter to the Cabinet Sectary, STFA chairman Christopher Nicholson said: “Whilst we appreciate that there is a great deal of work to be done before the Land Reform Act can be fully implemented, particularly with regard to much of the detail of the new rent test, there are areas of the new act which do not require further legislation and could be implemented almost immediately. “Neither the section relating to succession and assignation nor the appointment of a Tenant Farming Commissioner are subject to regulatory powers and could be up and running almost immediately. As we all know, life (and death) carries on, regardless of the parliamentary process, and there is a danger that some tenants may narrowly miss out form transferring their tenancies to a chosen relative if this part of the Act is delayed. STFA is aware of several tenants in this position where a delay of weeks, or even days could mean the difference between a family retaining or losing a tenancy. “Similarly, the work currently being undertaken by Andrew Thin is demonstrating the need for a Tenant Farming Commissioner to help with relationships between landlords, their factors and tenant farmers and to review the way in which land agents operate. Relationships may well become fraught again as the new provisions within the Act are used and the steadying hand of a TFC be needed to encourage reasonable relationships between landlords and tenants. “Rent reviews remain one of the most contentious areas of dispute between landlords and their tenants, the longer the delay in the new rent test becoming available the greater the chance of land agents trying to pre-empt change by using the current system to hike up rents. The Scottish Tenant Farmers Association welcomes the appointment of Fergus Ewing as the new Cabinet Secretary for the Rural Economy and Connectivity and Roseanna Cunningham, Cabinet Secretary for the Environment and Land Reform. The two new cabinet secretaries take over the Rural Affairs portfolio previously held for the last 9 years by Richard Lochhead who resigned earlier from his position as Cabinet Secretary for Rural Affairs, Food and Environment. Commenting on the changes to the Holyrood Cabinet, STFA chairman Christopher Nicholson said: “After an unprecedented 9 years in the post of Cabinet Secretary for Rural Affairs, today we learn of the resignation of Richard Lochhead. Of all ministerial posts, the rural affairs portfolio is one of the most complex and wide ranging including farming, fishing, forestry, land tenure, food and drink, and much more. “Following his 9 years in office, Richard Lochhead will be remembered as a hard-working and committed Cabinet Secretary who was prepared to listen to all sides of an argument. He has built up great knowledge and understanding of subjects around farming and fishing, and his food and drink policy has been a runaway success. All these efforts have been largely forgotten over the last few months due to the furore over delays in making support payments to farmers, no doubt encouraged by politics in the run up to the Holyrood election. 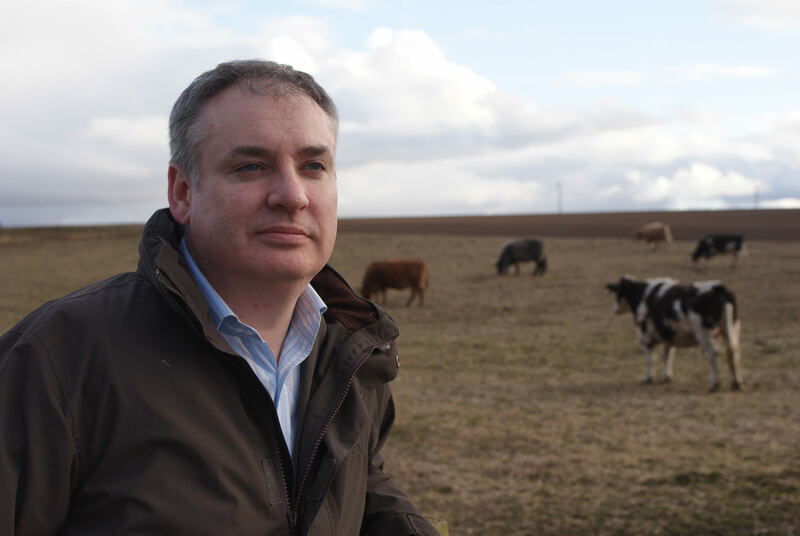 “Under Richard Lochhead’s leadership, land reform has taken a great step forward as Scotland moves towards more modern and inclusive systems of land use and tenure. He has delivered welcome and far reaching improvements for tenant farmers through the Land Reform Act which has also introduced greater flexibility for landlords looking to let out land. With his commitment to food and farming in Scotland, many tenants would have been pleased to see him continue in his post, and STFA would like to thank him for his efforts and wish him and his family all the best for the future. “However, there is still much work to be done to see the tenancy reform measures in the Act implemented, and STFA look forward to working with the new Cabinet Secretary Fergus Ewing over the coming months. We will be seeking an early meeting to discuss likely timetables for the implementation of the Land Reform Act, and to look at some of the measures that were omitted from the Act but could be addressed in the new Parliament. As a former member of the Rural Affairs Committee and Rural Affairs Spokesperson, Fergus Ewing has considerable previous experience of rural matters. “With the inevitable overlaps between land reform and tenancy reform, STFA also look forward to working with Roseanna Cunningham following her appointment today as the new Cabinet Secretary for the Environment, Climate Change and Land Reform. As a former Minister for the Environment, she also brings significant knowledge of rural affairs to the new Cabinet. The Scottish Tenant Farmers Association has given its backing to the Independent Adviser on Tenant Farming, Andrew Thin’s initiatives to tackle the thorny issues of rent reviews and the role of land agents. STFA considers problem rent reviews to be one of the main reasons for breakdowns in relationships between landlords and tenants. Andrew Thin has launched two initiatives this week; he is calling for a wide-ranging debate about the role of land agents and secondly, he is calling for feedback on recent rent review practices and is encouraging landlords and tenants to contact him directly for advice or to intervene if requested. Responding to these initiatives, STFA Director Angus McCall said: “Evidence given to the AHLRG and parliament in the run up to the Land Reform Bill has shown that the actings of land agents, especially in the conduct of rent reviews, has been at the heart of widespread discontent in the tenanted sector and is directly responsible for the souring of many relationships between landlords and tenants. As a consequence, one of the first tasks of the Tenant Farming commissioner will be to review the operation of land agents and make recommendations on improvements that could be made. “Rent reviews should represent a break in the lease where discussions take place, not just about rent, but more generally about the state of the holding, what repairs need to be done or improvements to be made and crucially the profitability of farming. Nowadays these discussions rarely take place even where there is a resident factor. All too often the rent review is contracted out to an outside firm of land agents whose sole motivation is to maximise the rent for the holding, regardless of the economic impact on the farming business. Faced with the threat of the Land Court tenants frequently feel they have no option but to agree. “Andrew Thin’s intervention now signals a new era in landlord/tenant relationships where bad practice and bad behaviour will no longer be tolerated. We support his notion of a Code of Conduct Specific to Agricultural Holdings promoting integrity, respect, transparency and accountability. These are commonsense values, but are frequently ignored in the context of agricultural tenancies and STFA welcomes their incorporation the professional codes of conduct. “STFA has long advocated the creation of an industry ombudsman to keep a watchful eye and see fair play in the sector and therefore also supports Andrew Thin’s call for feedback on rent review practices following signs that joint industry guidance is being ignored. For years STFA has warned about the bad behaviour of a significant minority of land agents and has consistently been criticised by landlord organisations for not producing evidence. However, it has become obvious that tenants are nervous about making complaints and Andrew Thin has now opened a route for tenants to seek impartial and confidential advice and he has indicated that he is prepared to intervene where necessary. “These initiatives are timely in the run up to the May rent review date and STFA would encourage any tenant being faced with a demand for a hefty rent rise of worried about the conduct of the rent review to make contact with Andrew Thin, either directly or through representative bodies. We would also encourage land agents to follow codes of conduct and limit any rent demand in line with industry guidelines if it can be justified. The Independent Adviser on Tenant Farming, Andrew Thin, has called on landlords and tenants to help provide feedback on recent rent review practices around the country. The move follows a number of cases where Joint Industry Guidance on conducting rent reviews does not appear to have been followed. Particular concern has been expressed about an alleged practice of tabling rent proposals well above or below inflation without clear justification or explanation. In a number of cases this tactic is thought to have led to unnecessary tension between landlords and tenants at a time when industry leaders are promoting greater collaboration. A failure in some instances to identify the sources of comparable information used in rent proposals has also been highlighted. This practice contravenes the guidance and makes it almost impossible for the other party to verify the reasonableness of the rent being proposed. “The majority of rent reviews are conducted without fuss and on the basis of a close mutual understanding between the landlord and tenant. That is as it should be”. “Most people have found the Joint Industry Guidance helpful, and many are also now using the new Self Help Guide to Rent Reviews”. “But there are still people out there who are taking an unnecessarily confrontational approach to rent reviews, and who are not following the Joint Industry Guidance”. “I am encouraging landlords and tenants to get in touch with me if they are aware of such situations. I may be able to directly intervene if that is what people want me to do”. “At the very least the feedback will help to inform the thinking of government and the industry bodies as we move towards implementation of provisions in the Land Reform (Scotland) Bill”. TFA of Scotland Members and registered users can login and access the latest information and support material.